Several varieties of dogwood tree are used as ornamental trees to enhance landscape designs. In addition to being hardy trees, dogwoods have beautiful ‘blossoms’ in spring and beautiful red and purple leaves and red berries in autumn. 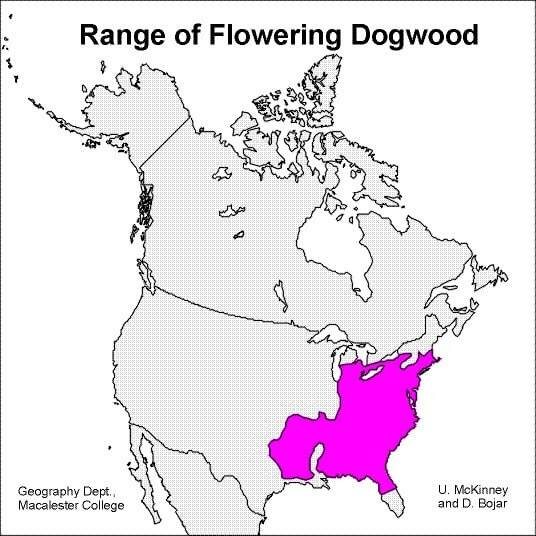 The most popular of all dogwood species is the flowering dogwood. 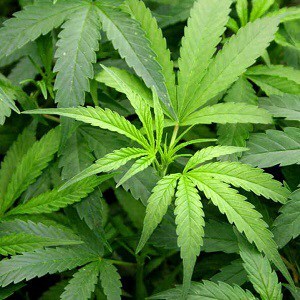 It grows naturally throughout most of the eastern United States and is specifically propagated for use in landscaping. Other dogwoods used in landscaping include red twig, silky, and creeping dogwoods. Dogwood trees are easily identified according to their distinctive bark. Once a dogwood has reached maturity, the gray bark cracks and looks like it’s been broken into small squares, giving it the appearance of alligator hide. The wood from dogwood trees was previously used in the construction of wheels, weaving shuttles, hay forks and machine bearings. This is largely due to the fact that wood from the dogwood tree resists splitting, and wears smoothly and evenly. The wood is strong, dense, durable, and shock resistant. For these reasons, this particular wood is still used in the manufacture of items such as golf club heads, walking canes, tool handles, spindles and mallet heads. One of the most interesting dogwood tree facts is that their roots are used to make dyes. There are several species of dogwood, the roots of which provide different color dyes. Specifically, dogwood roots provide red, black and yellow dyes. Additional colors can be created by mixing dogwood root with other plants that provide dyes. All parts of the dogwood tree provide sustenance to many animals in their natural habitat. The fruit (red berries), twigs, seeds, flowers, bark and leaves are all consumed by birds and mammals. The animals that feed on dogwoods include songbirds, game birds, skunks, rabbits, squirrels, chipmunks, foxes, deer and bears. 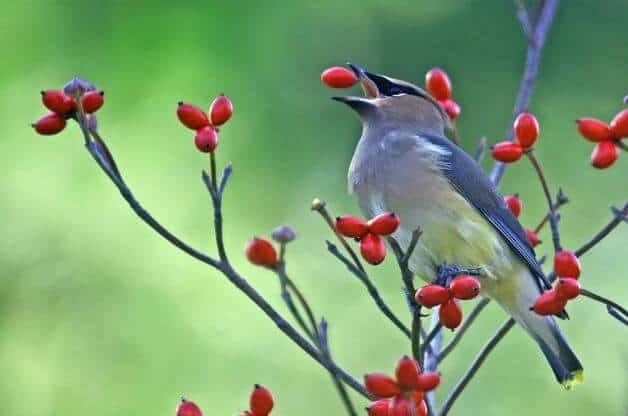 In fact, at least 36 different species of birds feed on dogwood fruit. The high calcium and fat content of the dogwood make it very appetizing for wildlife. It also provides shelter and a convenient habitat for many animals. Although dogwood tree facts reveal that birds love dogwood berries, these red berries, whilst attractive, are not particularly palatable to humans. The fruit from some species are consumed, but are not very popular. Other species’ fruit are in fact poisonous to humans. And the name doesn’t help to make them any more appetizing – these berries are known as dogberries or houndberries. A flowering dogwood tree usually ‘flowers’ in spring. One of the most intriguing of all dogwood tree facts is that what you see on these beautiful trees are not actually blooms at all, but bracts – a type of leaf. These white, pink or scarlet leaves, which look like petals, surround a yellow center, which is in fact the true flower cluster. The purpose of the bracts is to protect the flower clusters while they are still forming, and they only unfold once the flower clusters open. These bracts also attract pollinating insects to the flower clusters. One of the lesser known dogwood tree facts is that the branches of a dogwood tree appear to be very different colors when seen in different light. The branches of a dogwood appear to be crimson in direct sunlight, but change to a lime green color when seen in the shade. The flowers of dogwoods contain both the female and male reproductive parts. 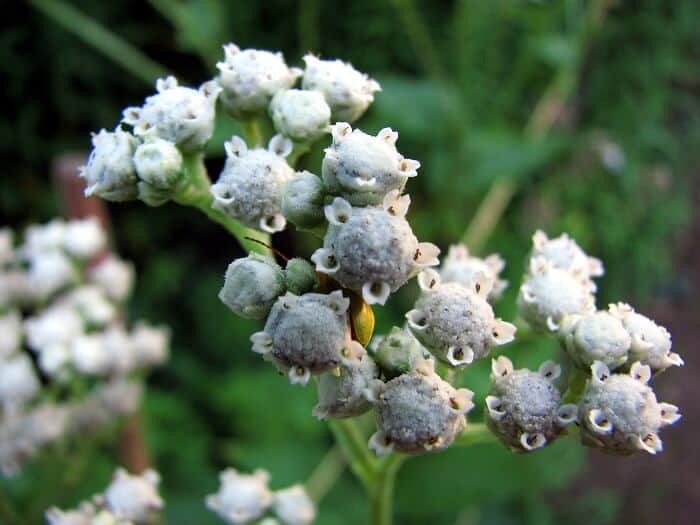 Once the flower clusters are pollinated by insects, these flowers produce small red berries. Almost all parts of dogwood trees can be used for medicinal purposes: the bark, roots, berries, twigs, leaves and flowers. Native Americans used the root of dogwood trees to treat malaria. The inner bark of the roots contains the alkaloid known as cornin. Other ailments that have been treated with dogwood include insomnia, asthma, fevers, muscular problems, whooping cough, toothache and even canine mange. When supplies of quinine ran low during the Civil War, dogwood extract was used as a substitute. This is one of many dogwood tree facts that will appeal to environmental enthusiasts. The leaf litter of a flowering dogwood decomposes far more quickly than that of most other species of tree. Because of this, the flowering dogwood is considered to be a soil improver. It is therefore often used for urban forestry projects and is planted on abandoned strip mines. During the Victorian era, dogwood flowers were often used to convey affection. A young man would give dogwood flowers to an unmarried woman for whom he felt some affection. Should his feelings be requited, the woman would keep the dogwood blooms. However, should she feel indifferent towards the man in question, she would return the flowers to the disappointed suitor. In addition to the legend of Jesus Christ being crucified on a dogwood cross, there are many symbols of religious significance for Christians found within the dogwood tree. The dogwood blooms represent the cross, as each consists of four bracts in a cross shape. The red stamens in the flower centers are said to represent the crown of thorns that Jesus wore when he was crucified, with the red color representing his blood. The four points of the bracts are tinged in red, symbolizing the blood from Jesus’ hands and feet where they were nailed to the cross. Lastly, the dogwood tree flowers during Easter, which is seen as a reminder to Christians of Jesus’ death and resurrection. Dogwood trees are beautiful ornamental trees that provide food and shelter for a wide variety of wildlife. The sturdy wood is used in the manufacture of a range of practical items that require a dense and durable material. Dogwoods are very useful in that they provide dyes, have extensive medicinal properties, and rejuvenate soil. 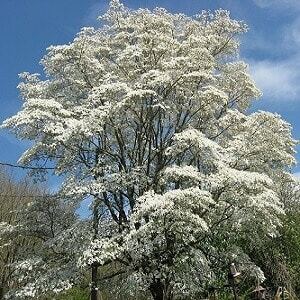 The legend of the dogwood tree holds particular importance for Christians.